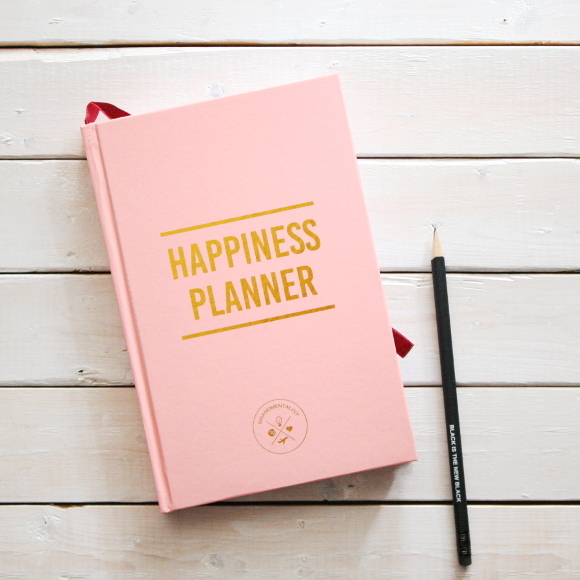 I first spied the Happiness Planner on Holly‘s blog a couple of weeks ago. It popped up in my blog feed at just the right time. Within 20 minutes I ordered myself a pretty pink copy and patiently waited. The Happiness Planner is a personal book that is filled out daily for 100 days. You start by listing details about yourself, both positive and negative, personal goals and a few exercises to list out your qualities and achievements. You then start your hundred days by setting yourself little goals or personal daily achievements, just for you. It’s something I am forever debating whether or not to write about here on The Interior DIYer; mental health and depression. I’ve battled with / against depression for a long time. The truth is I don’t like writing about it because I feel people don’t believe me*. I think it’s because I’ve become very good at distracting people from what’s really wrong with jokes, four letter words, excessive eye liner, big hair and even bigger hand gestures. It’s my Chandler coping mechanism. I’m getting a bit older and I’m realising that you have to be your own best friend. Slowly I’m hoping to get into a healthy and daily routine of positive thinking and setting goals for the future. 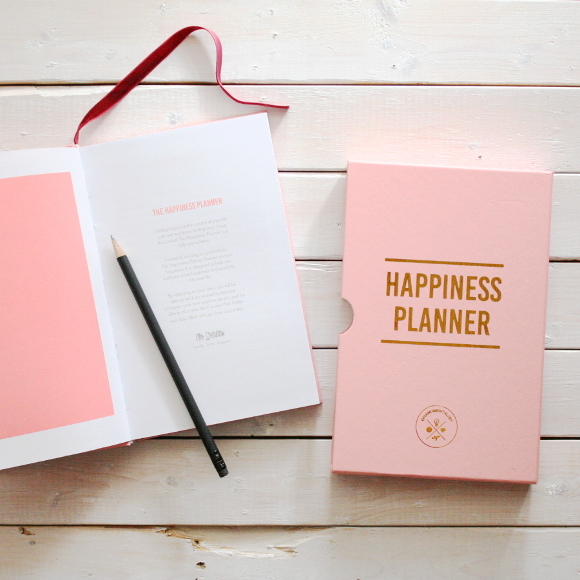 Not only will the Happiness Planner be perfect for this, but it also appeals to my animalistic urge to collect ALL OF THE CUTE STATIONERY. This week I’m feeling like me for the first time in a long time, and with the most epic of timing, my Happiness Planner arrived yesterday morning. And it’s SO PRETTEH. Pink and gold and a solid piece of stationery. But as with most things, I can’t help but mess with it a little. I removed the neon orange bookmark that came in the Happiness Planner [sorry, Mo] and replaced it with a dark red velvet ribbon. Yum, yum. As someone with a black belt in Self Depreciation, I’m hoping my next 100 days will be a little kinder, more mindful and goal oriented. At the very least, updating my Planner daily will hopefully help me spot my problems and acknowledge patterns, keep me on track of reaching goals, and find that silver [or gold foil] lining. *I also don’t like writing about it because I have this ever niggling paranoia that if I do write about it, someone / a company won’t think me capable enough to work with. It’s something I worry about a tremendous amount. I am at my best when I’m busy working and haven’t enough time to think about myself, so rest assured that it never effects my work. Or is it ‘affect’? I never bloody know. Next Post Anybody? No? Dust. xxxxxxxxxxxxxxxxxxxxxxxxxxxxxxxxxxxxxxxxxxxxxxxxxxxxxxxxxxxxxxxxxxxxxxxxxxxxxxxxxxxxxxxxxxxxxxxxxxxxxxxxxxxxxxxxxxxxxxxxxxxxxxxxxxxxxxxxxxxxxxxxxxxxxxxxxxxxxxxxxxxxxxxxxxxxxxxxxxxxxxxxxxxxxxxxxxxxxxxxxxxxxxx Thank you so much, Kimberly. That's just it – being kind to yourself. That I rarely do. And hell yes, ALL OF THE PINK AND GOLD. That planner is sooo pretty – it is a requirement for that reason alone!! I think it's a great idea, because you really are too negative about yourself, and you shouldn't be because you're amazing!!!! Trust me, I know!!! But I understand because I do the same thing – mainly I try to get in there first and put myself down before someone else does – ha, beat them to it! That's completely it, Maria – getting in there first before anyone else does. I think it's some kind of sick coping mechanism. If I tare every aspect of something / myself apart first, there's less room for error. *inserting kissy face emoji right back at you* < and BTW, what's with Blogger not supporting emojis? Not cool, Blogger. Thanks so much for bringing the Happiness Planner to my attention. It seems similar to something I started doing through counselling but a) I've fallen off the bandwagon and b) my notebook is nowhere near as pretty! Why is it so hard to be nice ourselves? To allow time just for us and our own happiness?! Well screw you inner demon of doom, here's to 100 happy days! It's something I ask myself a lot – why am I so incapable of treating myself the same way I treat other people? And I honestly don't know. It's a strange thing, but I'm definitely my worst critic. 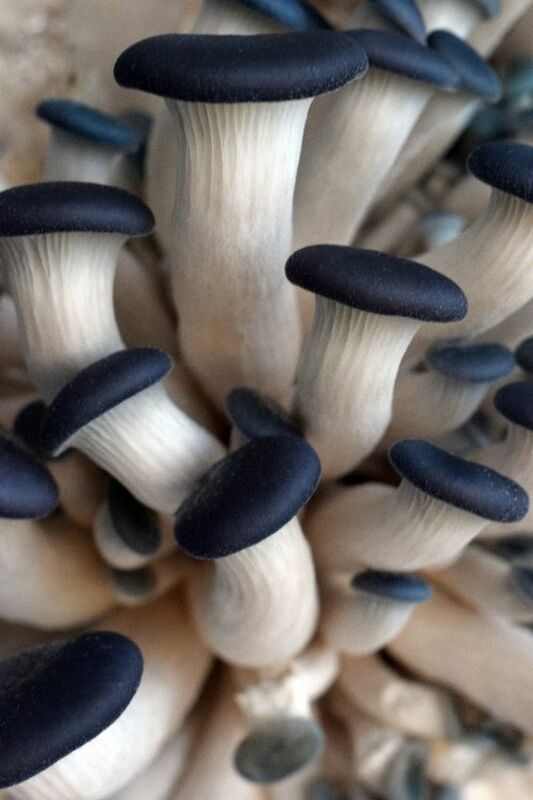 In conclusion – brains are weird. I love this blog post. 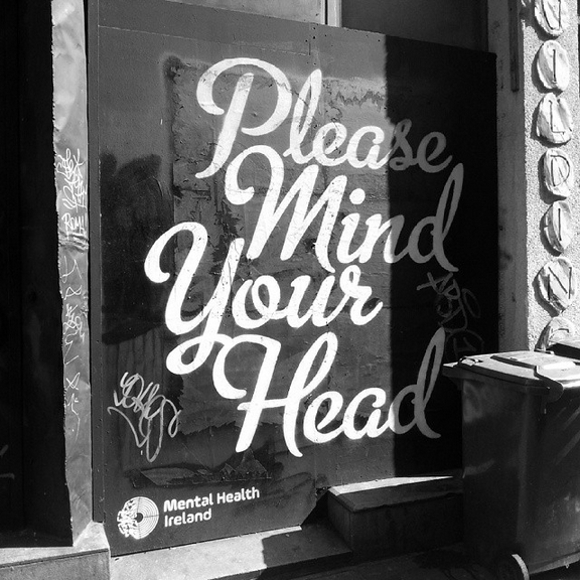 You are right that speaking about mental health issues especially your own can cause anxiety about disruption or misinterpretation from other people. Thank you for blogging about the happiness planner. It seems like a really good resource. Squidmoma. Thank you my friend xxxxx I find the misinterpretation one of the worst parts. Or at least, what we [endlessly analyze and thing to be] possible misinterpretations. Brains are crazy. So cute. I once did the "This book will change your life". I even did the cannibal for a day one (ate one of my flatmate's hairs). Yep. Changed my life alright. (insert sarcasm here). Whaaaat! Hahahahhaha, that is one weird book. I can only imagine how much your life changed.